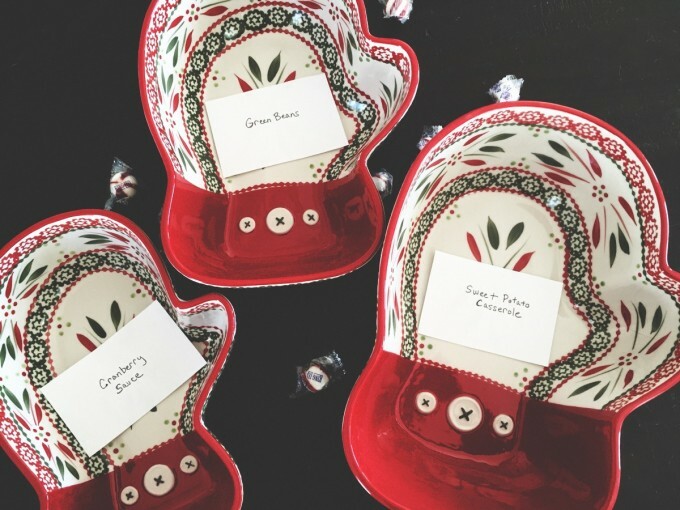 As you go about selecting recipes for your upcoming holiday feasts, it’s a good time to take stock of your temp-tations collection and see if you’ve got all the pieces and sizes you need to set your holiday table in style. I like to pull out all the pieces I think I might need, and spread them out on my dining room table. Then I write the name of each recipe or menu item I’ll be serving on post-it notes, and match the post-it note to the right size baker or serving piece. This is a great way to get organized and figure out what you still need. It’s times like the holidays when temp-tations sets really come in handy by offering so much versatility. If you’re looking to serve salad, bread, a main course or two, a handful of side dishes, dessert, sauces, and gravies, you’ll need just the right pieces and sizes for prepping, baking, serving and storing. And holiday patterns are a wonderful way to add festive flair to any table! Planning ahead takes the stress out of entertaining, letting you know you’ve got exactly what you need to set a beautiful dinner table, cocktail buffet or party spread. So make sure to shop serveware, dinnerware and bakeware, and get ready to celebrate the season.